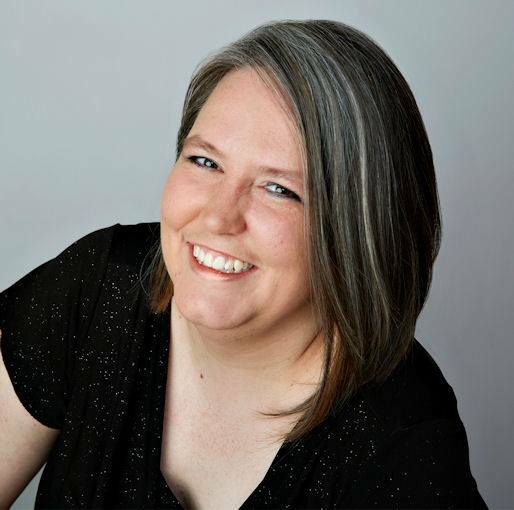 In anticipation of the flood of interviews loyal readers will soon have to peruse, here is a fascinating Q & A with Alberta Author Rhonda Parrish, author of A is for Apocalypse and upcoming follow-up B is for Broken. When did you first realize that you liked the horror/apocalypse genre? You know how when an interviewer asks someone ‘When did you first start writing?’ and they say, ‘Ever since I was old enough to hold a pencil,’ and you kind of sigh because while you believe what they’re saying is true, you really wanted to read a different answer to that question? Well… this is kind of that. I have liked horror and apocalyptic themes for as long as I’ve known they exist. For example, when I was a kid we didn’t play house, we played runaways. The idea was that we’d (my siblings and I) run away from home and we were out in the wild alone somewhere, trying to rebuild a life while fighting off monsters. More survivalist-y than apocalyptic perhaps, but the two definitely go hand-in-hand, don’t they? As for horror, my mother was a horror fan and we were always welcome to read anything on her bookshelves and join her in watching scary movies. I watched the original Dawn of the Dead when I was about 7 or 8, and various other 70s and 80s horror movies before that… and I remember reading Stephen King far earlier than any of my friends (I did a book report on Christine when I was in grade 4. Looking bad I kind of feel bad for my grade 4 teacher LoL What an awkward position to be put in). Losing the people and pets I love. 50% of the Earth’s animals wiped out in the past 40 years. Why do you think people are so intrigued by zombies and ideas of the apocalypse? Why are you drawn to these topics? Oh wow… I could write thousands and thousands of words on each of these questions LOL I won’t, don’t worry, but I could. One of the things I think draws people to zombies is their uncanny nature. They are like us, but they aren’t us. That is horrifying! Also, I suspect they play into our fear of death… and relieve it a little bit. Once you see that thing which is worse than death, it makes dying seem like maybe it’s not so scary/bad after all. As to why I’m drawn to zombies and the apocalypse… well, again, so many reasons, but one of the big ones is this: don’t we all, at least a little bit, want to be one of the few left standing at the end of the world? The ones to start over and do it right? I do. LoL and now I sound completely cynical and pessimistic. And I’m not. Remember the part where I want some people to be left standing (self-servingly I want to be one of them, but still…)? That’s because I really enjoy the re-building part of apocalyptic fiction and fantasies too. Especially zombie apocalypses. Could you tell us about a few of your other interests? I read, of course. A lot. Of course. And I enjoy gaming. I’m in between major addictions right now and spend most of my video game time with old school Plants vs. Zombies or Sims 4 with a little Hearthstone thrown in. I’ve recently started playing tabletop Dungeons and Dragons again, too. In some ways it’s a crazy jump from 2nd to 5th edition, but in other ways it’s completely comfortable and familiar. I’m falling in love with it all over again. I also like crafty stuff. I quilt, cross-stitch, crochet, paint fabric, that kind of thing. I used to joke that I was grandmother trapped in a younger woman’s body… but as I get older that joke has become less and less funny. Go figure. Zombie poems? What a brilliant and unusual idea to make an entire book of them! Whatever gave you the idea? How do you think people will react to it? I make a habit of participating in the November Poem-a-Day challenge (with varying degrees of success), and several years ago my theme for the challenge was zombies. Most of the poems in White Noise came from that challenge. They’re polished up, of course, and many of them have been published between now and then, but that’s where they come from. Now that all the various rights have returned to me, it just seemed like a natural thing to bundle them together into a collection. What advice would you give to people who want to write scary stories? On a pseudo-related note, my next tattoo is going to be one which says ‘Fail better’. Many thanks to Ms. Parrish and to our interviewer Virginia Carraway Stark for this engaging interview. This entry was posted in Author Interviews, Uncategorized and tagged A is for Apocalypse, anthology, apocalypse, author, B is for Broken, book, Canadian author, Canadian fiction, Canadian short story, celebrity interview, Edmonton Author, good and evil, novel, Poem a Day Challenge, Rhonda Parrish, Science Fiction, Science Fiction Convention, StarkLight Press, survivalism, Tony Stark, Virginia Carraway Stark, Virginia Stark, zombie. Bookmark the permalink.